I’m not the best web designer or graphic designer out there and I don’t claim to be, but I do have experience in getting jobs in the industry. I’ve worked for all kinds of companies since graduating from high school. I’ve worked as a web designer, graphic designer, and also a front-end developer. In this article, I’d like to share with you some pointers that have helped me in my job interviews. I’ve noticed that a lot of people struggle with this area of the job interview. Considering you have the experience and the skill for the job, then the job interview should be something that you look forward to. It should be something that you are confident in, and it should be something that you don’t shy away from. You can be the most talented web designer out there, but if you don’t do well in your job interview, it can cause you to lose out on that excellent position that you have always wanted. So let’s get started. I’d like to give you 7 important pointers to help you on your next job interview. I’m not the best web designer or graphic designer out there and I don’t claim to be, but I do have experience in getting jobs in the industry. I’ve worked for all kinds of companies since graduating from high school. I’ve worked as a web designer, graphic designer, and also a front-end developer. In this article, I’d like to share with you some pointers that have helped me in my job interviews. I’ve noticed that a lot of people struggle with this area of the job interview. Considering you have the experience and the skill for the job, then the job interview should be something that you look forward to. It should be something that you are confident in, and it should be something that you don’t shy away from. You can be the most talented web designer out there, but if you don’t do well in your job interview, it can cause you to lose out on that excellent position that you have always wanted. So let’s get started. I’d like to give you 7 important pointers to help you on your next job interview. Let me give you some tips on what to prepare. I cannot stress this enough. 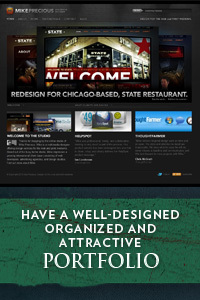 If you are interviewing for a web designer position, then get your online portfolio ready. Make sure all your links are working, clean it up a bit and make sure that your code is neat and organized. I’m not saying that you have to redesign your entire portfolio but at least have it be as presentable as possible. Wait, what’s that? You don’t have an online portfolio? Then how do you expect to get the job? It’s sad, but I’ve heard of so many people who want to work as a web designer / graphic designer yet they still don’t have a portfolio up. This is your number one priority. Get your portfolio up as soon as you can. This is another important aspect that a lot of people tend to neglect. I’ve been in interviews before and while waiting in the lobby, I’ve seen the other job candidates and it’s a shame that some of them come with jeans and a t-shirt. Unless you get specific instructions not to get dressed up, I suggest that you look as presentable as possible. I’m not saying that you have to wear an Armani suit and alligator-skinned shoes, but dressing up in a shirt and tie won’t hurt. Not to be prideful, but I’ve actually received numerous compliments for my appearance in interviews. The way you look says a lot about your character. It shows that you were willing to get ready and look as best as you can for the interview. Prepare your résumé and supplies. The day before, look through your résumé, update it and tailor it towards the job you are applying for. Print out a few copies and put it in a nice folder or envelope that you can bring with you to the interview. Also, don’t forget to bring a pen, something like a notepad that you can take notes on and if you have business cards, bring that also. 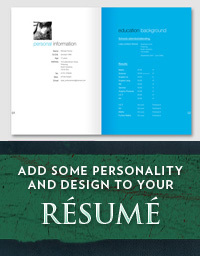 If you need help with crafting a great résumé, then read this article on Smashing Magazine. Prepare by doing research about the company. If the company that you are applying for has a website, go ahead and browse through it and learn more about the company. You want to have a general idea of what the company is about, their vision, goals, etc. Actually, I’ve had the interviewer ask me before if I’ve had the chance to view their website. It’s always good to be able to show them that you prepared for the interview and that you tried to find out more about the company. Acting or arriving exactly at the time appointed; prompt. Please don’t be late to the interview. It really isn’t good to be late especially before you are even hired. Google directions the day before and give yourself plenty of time to get to your destination. Oh, and prepare for traffic and give yourself enough breathing room so that in case you get lost, you still have enough time to get there. Once you get there, walk into the office about 15-20 minutes before your scheduled interview and just let them know you are there. During the interview, be as polite as possible. Don’t be rude and obnoxious. They might ask you about your past jobs and experiences. If you had a bad experience, don’t bash your old boss or your old company. If you have nothing good to say about them, just don’t say it. 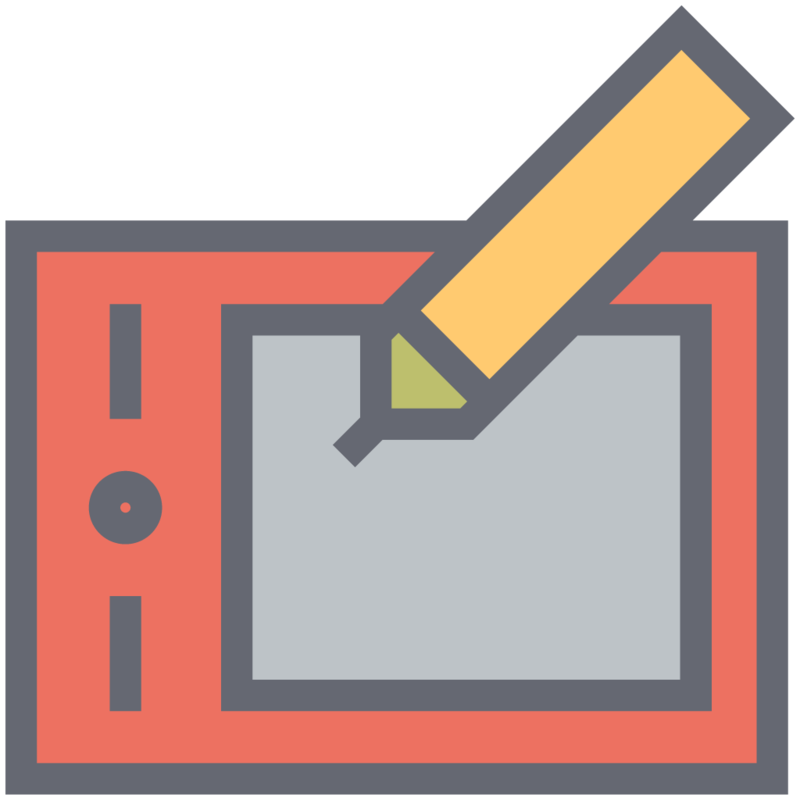 Also, you will probably get questions about your process and thoughts about current web standards, etc. When you share with them your beliefs and opinions, they might have a different philosophy from you so be ready for that. Also, please don’t use profanity during the interview. Some of you are saying, that’s just common sense! Well, it is, but you would be surprised at how many people slip and say something foul or inappropriate during the interview. 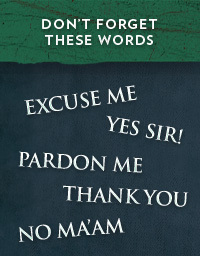 Remember to be as respectful as you possibly can be. Lots of topics will be covered and discussed during the interview. Processes, rules, regulations and policies will be talked about during the interview. Make sure that you pay attention so the interview won’t have to repeat themselves. By the way, ask if you can take notes and jot some thoughts down from time to time. Also, ask some questions about the position and the company. Asking good and pertinent questions is a good sign to show them that you are trying to learn more and that you are paying attention. This should be a given. Be passionate during your job interview. If you are passionate, they can sense that and they will take note. I’ve seen plenty of people at job interviews who look uninterested, bored and tired. Don’t be like them. Have a positive and confident tone on your voice. When they ask you a question about design or development, give them an answer that’s not generic but something that’s thought out. By the way, if I was interviewing someone, I’d want to hire the person who seems passionate about the job and wants to learn and grow. A job interview is really a time where the company gets to know you and you get to know more about the company. It’s also a time where you get to show them why you are fit for the job so be ready for this. Usually, the interviewer will ask you, “Why should we hire you for this job? What sets you apart from everyone else?” Be ready for questions like these and be genuine in your answers. If you are really good at a certain area, maybe XHTML/CSS or typography, then focus on that. 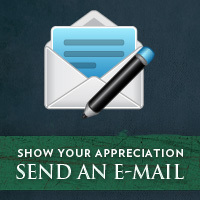 Let them know how you can benefit their company and what you can do to help them. Don’t be shy. Everyone at these interviews are showing their best and so should you. I’m not saying that you lie and tell them that you are the greatest, but give them some legitimate reasons why they should hire you. So you’ve finally made it home from the interview. Everything went well, you were prepared, you got there on time, you were passionate, you paid attention, you were polite, you promoted yourself. They liked your portfolio and your work. So what’s next? Well, I would suggest that you get on your computer and you write a brief note to the interviewer and thank them for interviewing you and for telling you more about the company. Remember, every little thing counts in these interviews, and so many times, you and another person have such similar skills that the only thing that will set you apart are the little things. Well, those are just some tips that I’ve learned and used over the years and doing these thing have really helped me when I went to my job interviews. I’m confident that if you follow these things, you will have a great interview. Now, it’s your turn. Let us know what are some of the things that you do before and during the interview? What are some experience, tips, guidelines that you can share with us? I’d love to hear from you so please feel free to leave your comments below. Once again, thanks for taking the time to read this article. If you still haven’t found the right job, I hope that the tips in this article will help you in your next job interview.